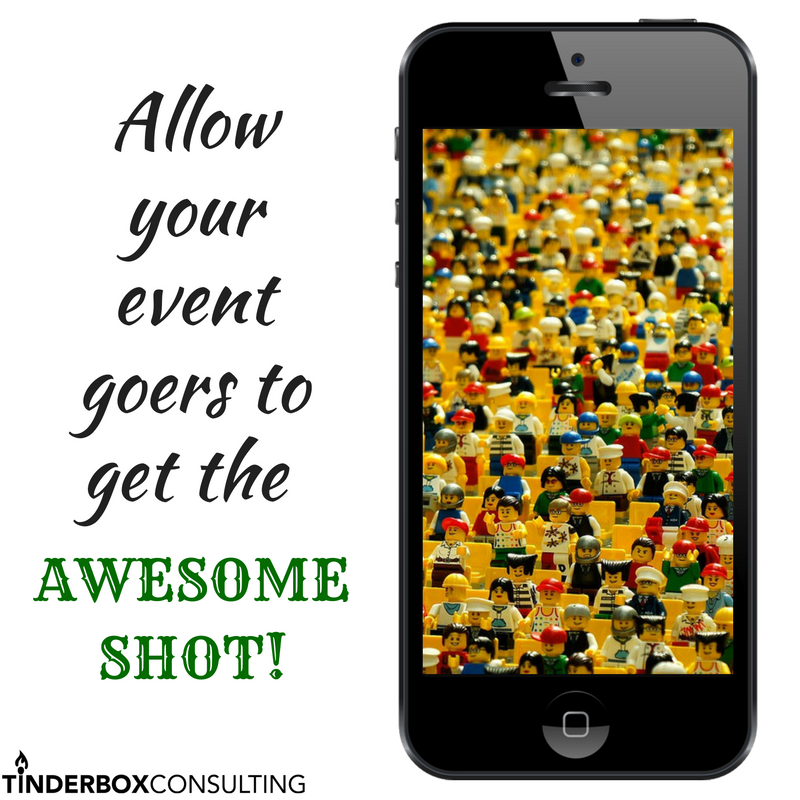 Social media and cell phones offer a unique opportunity for people to share, in real time, pictures while attending an event. The awesomeness of this, especially for the event producers, is that pictures typically capture so much more attention on social sites than just a status update or basic tweet. But there’s something to be aware of if you are an event producer. You should be allowing attendees access and freedom to take pictures throughout the entire event, conference, workshop, or forum. Trust me, you want them to. But allowance isn’t enough, they should feel comfortable to move around, get close to the stage or speaker(s) so they can take really intimate shots. Because as Chelsie Hadden so unintentionally wisely pointed out at a recent tweetup, “There’s a difference between ‘hi, I’m here’ pictures and ‘this is an awesome shot’.” Your event wants the awesome shot.